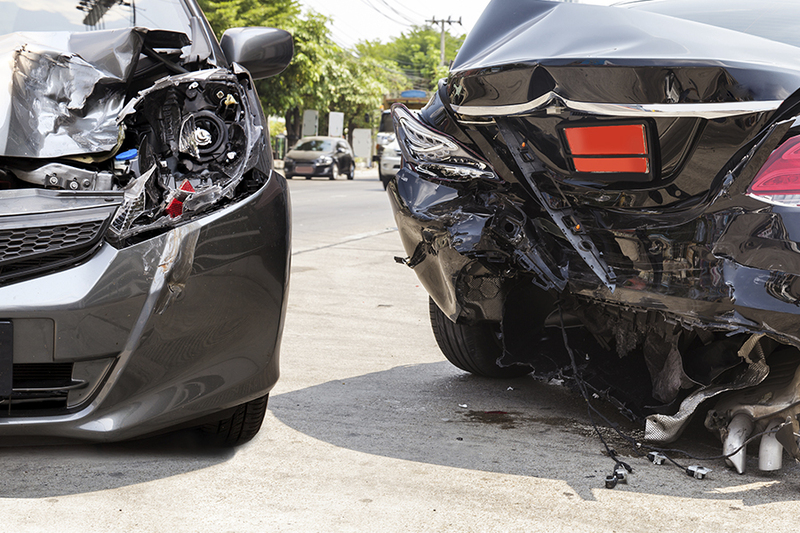 Car accident lawsuits involve proving four main elements: duty, breach, causation and damages. If you, as the Plaintiff, can prove all those elements of your case, you should have no problem winning at trial and probably will be able to obtain a favorable settlement without having to litigate. Here’s a helpful outline of the elements of a personal injury case prepared by the personal injury attorneys at Sawan & Sawan. For a free consultation, call 1-866-INJURY-0. The duty of care in a personal injury case is generally defined as the duty that one owes to another by virtue of society’s expectations. All of us must use such care to ensure that we do not hurt another person. For example, running a red light is a traffic violation. It can be accurately stated that the law imposes a duty not to run red lights and imposes this duty upon every driver in our society. If a person runs a red light and injures another person, that one who ran the red light breached their duty of care to the person they injured. They had a duty not to behave in such a fashion and their breach of that duty caused the victim’s injuries. Establishing a breach of the duty of care can be a very difficult aspect of personal injury cases. For example, there may be a questions as to who ran the red light, questions as to whether the light was green or yellow, or questions as to whether the injured party could have stopped and avoided the accident. Again, these sometimes difficult aspects of personal injury cases illustrate the important of gathering evidence and ensuring you have competent counsel. Once the officer cites a person for the traffic violation, they must go to court and defend themselves. It’s important to know that even though the officer cites that person, it does not mean the person cannot fight the ticket. With the right evidence and a cogent argument, the prosecutor may, in some cases, dismiss the case. Even if there is clear liability – such as proof the person ran the red light, that person can plead “no contest.” If they enter a no contest plea, the other side is precluded from using that plea or admission in the subsequent civil case. These types of intricacies reflect the importance of hiring a personal injury attorney if you were injured in Ohio. All claimed injuries must be directly and proximately related to the crash. To support these injuries, you must seek medical treatment. Again such treatment provides a road map for the insurance company to determine causation. For example you are injured today but do not seek medical treatment for six months. That “window” of non-treatment will be scrutinized by the insurance company which may argue the there is no nexus between the crash and the claimed injuries. Another complicated situation occurs when there was a preexisting injury. If an injury to the same part of the body predates the accident injury to the same part of the body, the insurance company will often deny compensation arguing that the injury predated the accident. They may also say that the accident exacerbated the prior injury and compensate you accordingly. In proving wage loss, you will need a letter from your employer confirming the dates you were off due to the accident. Again damages must also be directly and proximately caused by the accident. Having documentation to support damages is essential. Medical records and bills, wage loss letters from your employer, and medical reports from your doctor, are just some of the documents you need to support the claim. There are two types of compensatory damages; economic and non-economic. Economic damages are those that reimburse a party for economic losses such as medical bills, wage loss. Non-economic damages compensates a party for pain and suffering, mental anguish, and other intangibles. Punitive damages are awarded if the defendant’s behavior is found to be especially harmful or malicious. The purpose is to punish the person for their actions and deter others from committing a similar offense. Sawan & Sawan is an Ohio based car accident law firm with Toledo car accident lawyers licensed to practice law in the State of Ohio. If you have been in a car accident and would like to speak further about your specific legal matter, call Sawan & Sawan today at 1-866-INJURY-0 to schedule a free consultation.